A male Tule elk along Tomales Point Trail in Point Reyes National Seashore browsing for a snack. This is one of the same bulls that started to fight as we watched them a bit later in the day. After following a small flock of these guys around the beach for at least half an hour, this curious one decided to check out what exactly the slow crawling monster with the giant lens coming out of his nose was. He tentatively ran over pretty close to me, gave me a few up and down glances, and then scurried back to the group. 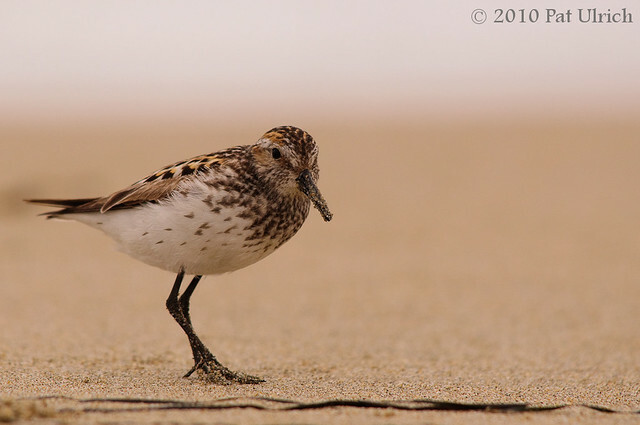 Apparently I was deemed no threat (probably because they saw the glacial speed at which I was moving while belly crawling after them through the sand), or perhaps they found me to an acceptable proxy of a new kind of sandpiper species (well, I'm not so sure about that!). Either way, it was a real pleasure to have a chance to photograph them with some summer color. 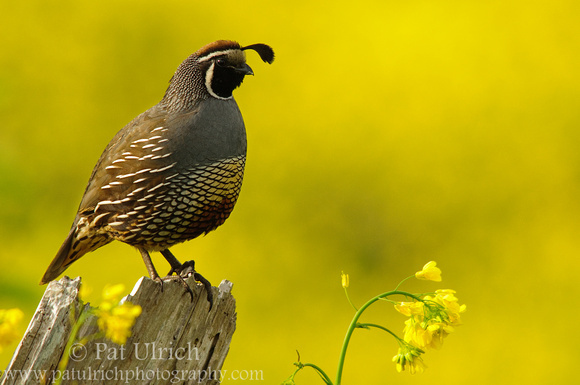 Two more shots from my Weekend of the Quail in May of this year (previous posts from this weekend are here, here, and here). 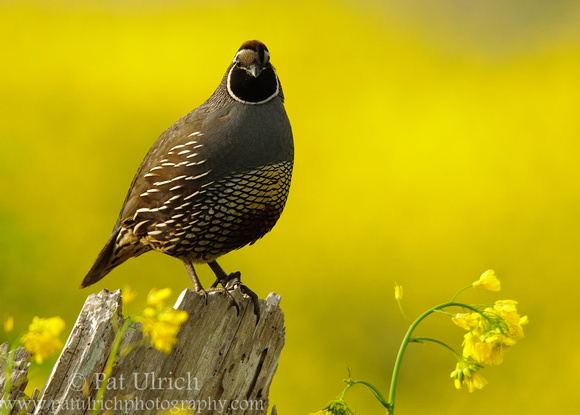 I saw this guy perched a little way off the trail and in front of a beautiful valley of golden wildflowers. This normally skittish species actually let me approach over what must have taken 10-15 minutes to get into the right position. Every now and then he would glance my way (see below), but was totally cool with my approach, and let me snap off a lot of frames with this awesome backdrop. 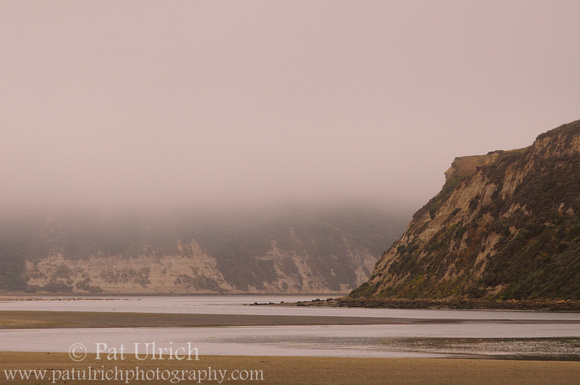 A quick post from the many shots I took yesterday on a hike out the Tomales Point Trail in Point Reyes National Seashore to see the tule elk rut. Here are two males trying to determine their ranking order. We watched both of these guys get run out of a harem by a larger male earlier in the day (no fight, these two just ran to the outskirts while the other male introduced himself to the females), and then after hanging out and feeding peacefully together on the edge of the harem they eventually came to blows to figure out who is the next bull in line, I suppose. There was no clear winner in this fight to us, and as quickly as it started, they stopped and went back to feeding near each other, apparently satisfied with the results of the quarrel for the time being. It was really awesome to see a scuffle like this up close, and what stands out most about this shot to me is the intensity of their eyes while they fought. During the live action it was just a slow shoving match. But when you get to see these frozen moments in time, the intensity of the fight really comes to life. 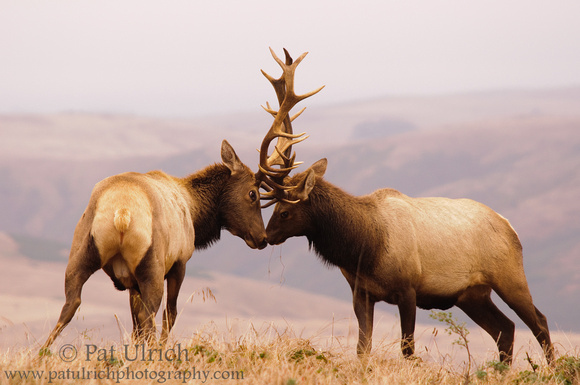 View more of my photographs of tule elk in Point Reyes National Seashore. 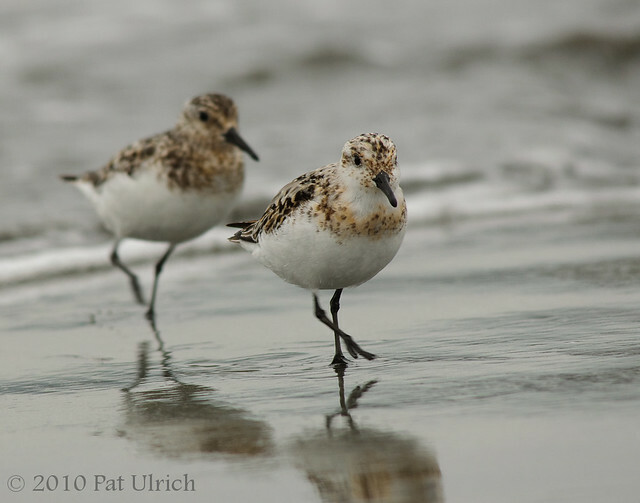 Everything about sanderlings seems to happen fast. 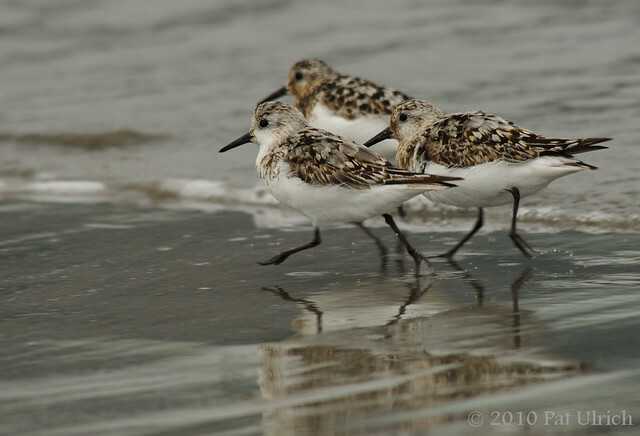 They run across the sand fast, they change directions fast, they takeoff fast and land fast. And sometimes they even come flying into the frame a little too fast. It would have been great to have some more space on the left of this shot, but sometimes things just happen too fast. 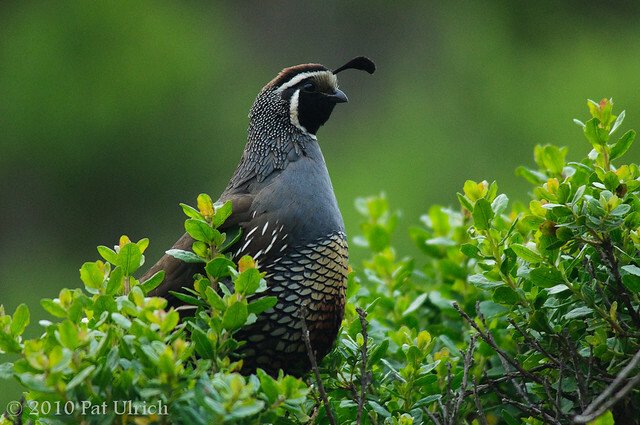 A male California Quail in the brush along the trail in Tennessee Valley. 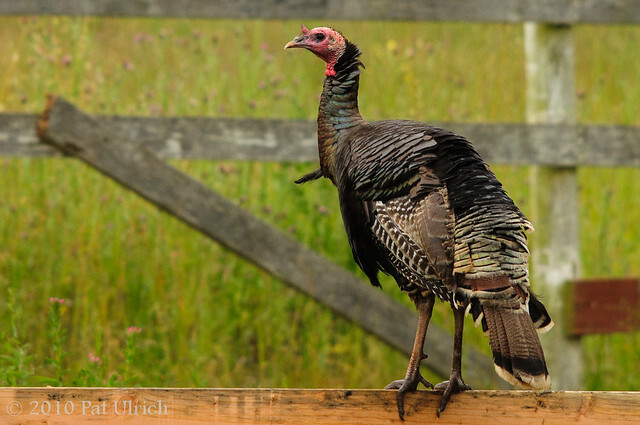 A common sight near the horse stables at Tennessee Valley, these wild turkeys are a fun to see up close. 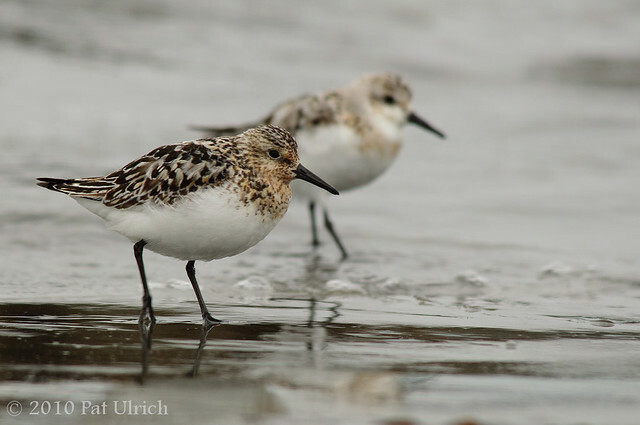 So remarkably ugly, but with beautiful plumage especially when a male displays. 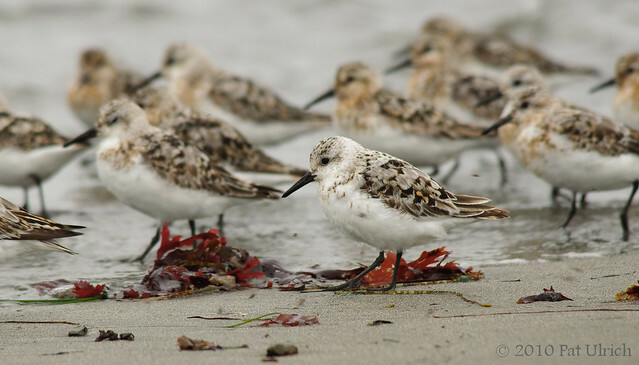 A group of sanderlings in summer plumage along the shoreline of Pillar Point Harbor near Half Moon Bay. The late afternoon was overcast under a heavy fog that just seems to be around all day, every day this summer in the Bay Area. However, I don't really mind the fog as it means there's a longer window for photography both in the morning and evening, and the colors in their plumage come out nice against the bleak scenery. 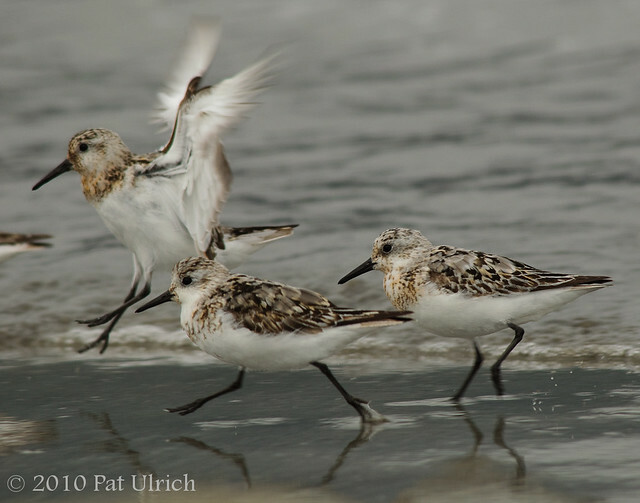 Sanderling duos in summer colors running with the waves at Pillar Point Harbor near Half Moon Bay. 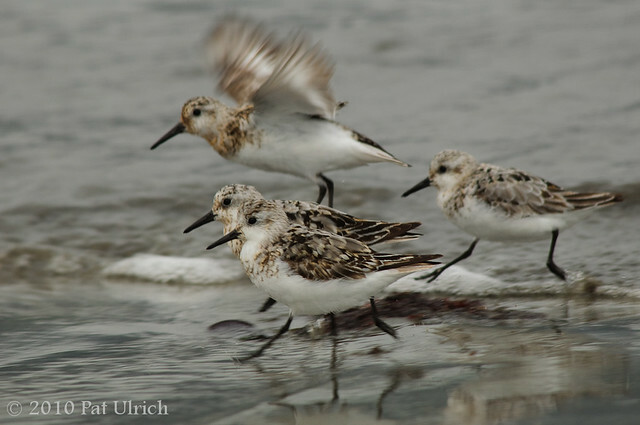 There was a decent sized flock of maybe 40-50 birds there last weekend, however, there were also plenty of dogs around that loved to give chase. So I had to get my shots in between the flocks being spooked and flying off to a different area before eventually being chased by a different dog and coming back to where I was.